Robert and Bibbi II in Christianshavns Canal on May 4th. There was a lot of things to do on May 1st before I could leave home in Mölndal and go south to Bibbi II in Höganäs. 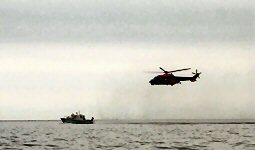 A couple of hours later then planned I arrived at the boat and could work with the final arrangements. Robert joined us in te afternoon, and while I worked on the boat, Ingrid and Robert went shopping. 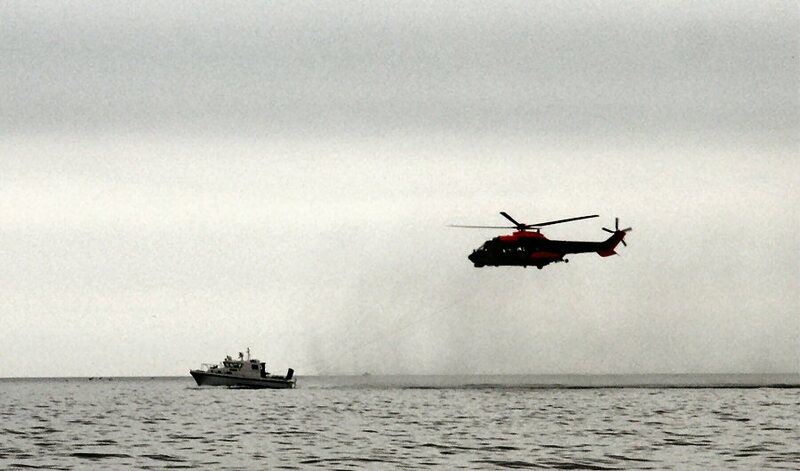 Ingrid stayed onboard until Sunday, when a couple of friends from the area came to say hallo. When these friends left us, Ingrid left too and went home again. She'll join me again in early June. 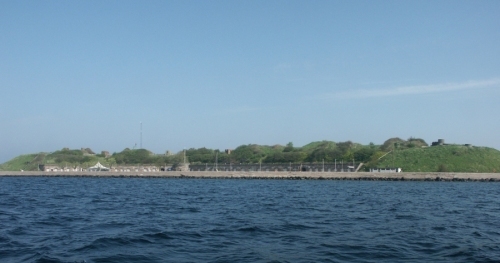 As soon as I was alone I left Höganäs and sailed down to Råå south of Helsingborg. It was a very nice tour with sun and no wind at all. Summer at it's best! Monday came with heavy fog. Robert and I took his car on the ferry to Danish Helsingör for shopping. 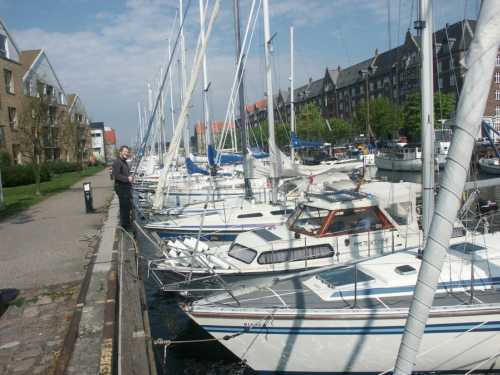 On Tuesday Robert joined me onboard and we sailed to Copenhagen and found a very nice place for mooring in Christianshavns Canal. 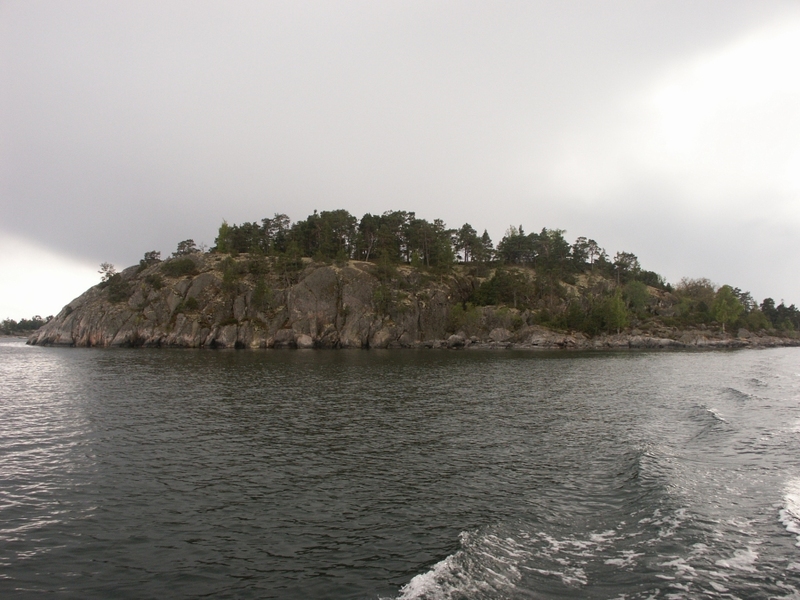 We sailed to tiny Flakfort on Wednesday and on Thursday, May 6th, we sailed back to Sweden. I left Robert on a bridge in Malmö and sailed down to Limhamn for the night. Friday showed up with winds too strong for sailing, so I took the bicycle into Limhamn center for shopping, and spent the rest of the day with the computor onboard. Flakfort at a distance when we leave it for Sweden. 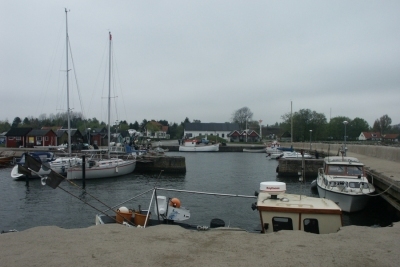 On saturday morning there was not much wind so I left Limhamn as soon as possible. For some reason I had not read all the notices about Falsterbo canal. Or rather, I had misunderstood them. I knew that opening of the bridge was restricted, but I was sure Bibbi II would pass under that bridge. But they also had closed the locks, which I had not noticed. The locks were only opened once every hour. But I arrived five minutes before 12 so I didn't have to wait too long. 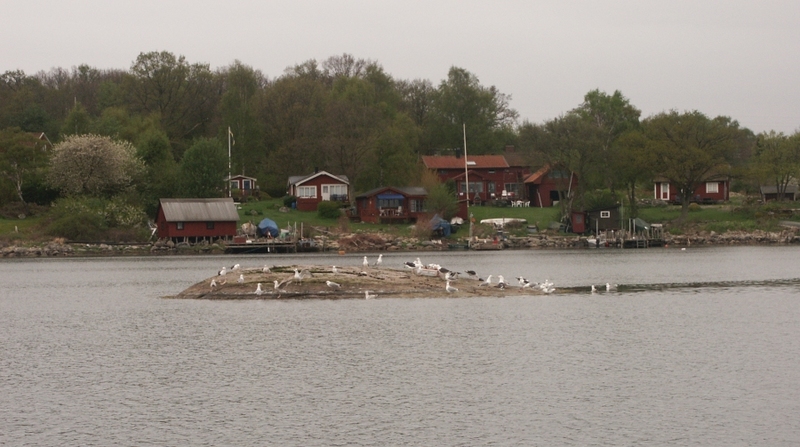 There was pratically no wind during the day, but some old waves, not as tough as when I sailed from Gothenburgh though, so it was a fine day at sea that got me to Abbekås, which is a nice little village on the southcoast. Sunday gave me another fine day at sea with no waves and brought me from Abbekås to Simrishamn. The weather was real fine with high temprature in the air. But only 7 degrees in the water along the coast. We have to wait a long time for summer! 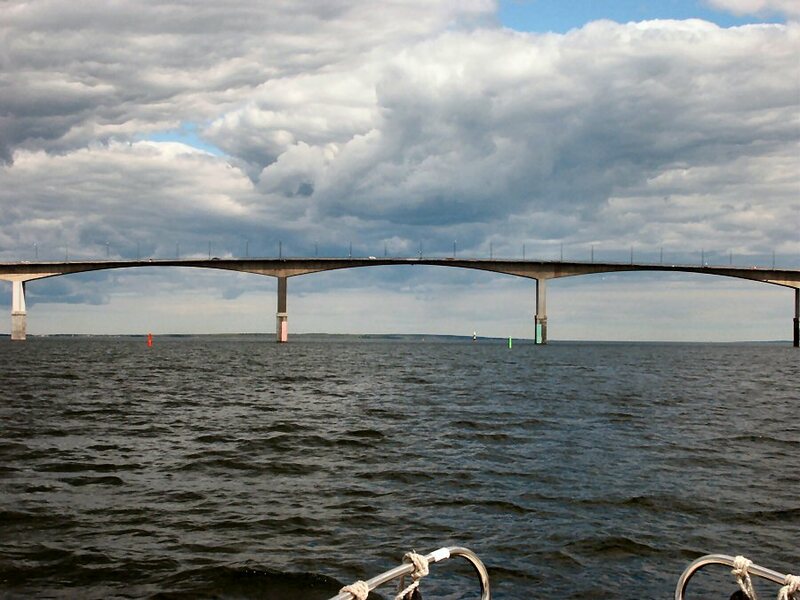 On Monday I crossed the Swedish "Biscaya" Hanöbukten, known for strong winds and big waves. But this day he sea was absolutely calm, apart from the last hour when I got into a thunderstorm. There was heavy rain, hundreds of lightnings and heavy wind, but only for a very short time when I was very close to shore and almost by the harbour I was aiming for. 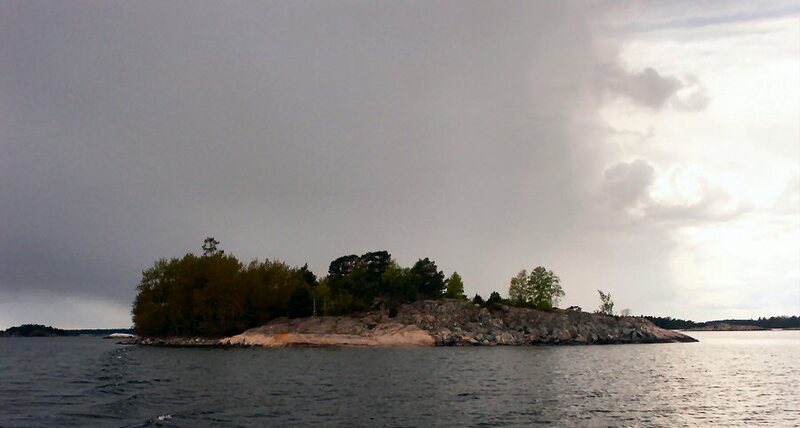 Thunder at sea is always frightening, but this time everything was OK and just before I was ready to moor at Tärnö all rain and thunder disappeared. Later I read that the lightning had caused fire in several houses at shore. 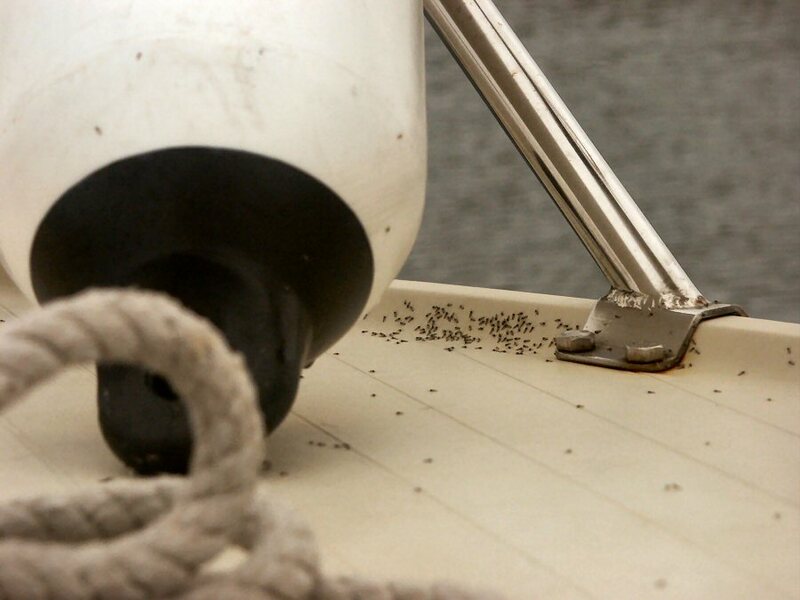 During the crossing Bibbi II was twice attaced by large numbers of insects. It was very unpleasant and I fiercely defended the boat against them. My final victory came with the rain. 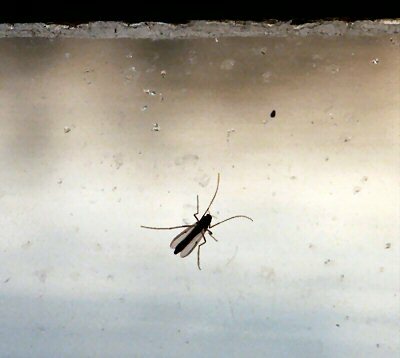 One of the insects survived my defense, but not for long after this picture was shot! I had planned to stay at Tärnö one day to walk around the island, but the weather was rather dull, so on Tuesday I sailed on to Karlskrona and spent the afternoon strolling around in the city center. 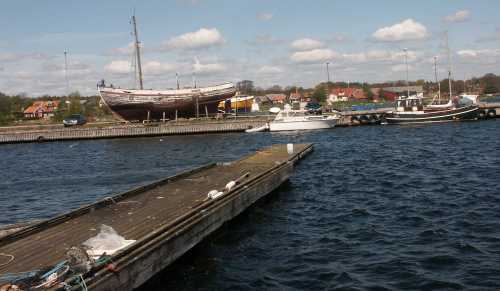 I spent an extra day i Karlskrona, due to heavy wind and rain. During the day I wrote a lot of new texts for my canal-site, I went to the library to get some new facts, and I went to an internet-café to read my mail. This was the first time I read mail during the holiday and there were many! 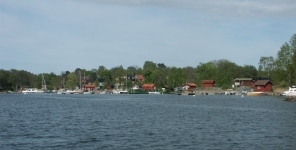 Slottsfjärden between Kalmar city and the castle. 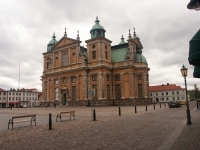 On Thursday I left Karlskrona and aimed for Kalmar. But when I got into Kalmar Sound there was rather heavy wind so I decided to get into Sandhamn, a rather big fishingharbour, to wait for better weather. Friday gave me a nice day at sea but when I entered the harbour in Kalmar there were strong winds which made it difficult to moor. I spent an extra day in Kalmar to take photos of the canals. In my dinghy I aimed to run through all these canals, but half way around the propeller caugt a stone and I had to row back to Bibbi. I spent the rest of the day strolling around in Kalmar and saw Kalmar Castle. 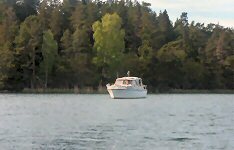 On Sunday I left Kalmar and had a very nice cruise northwards in Kalmar Sound. 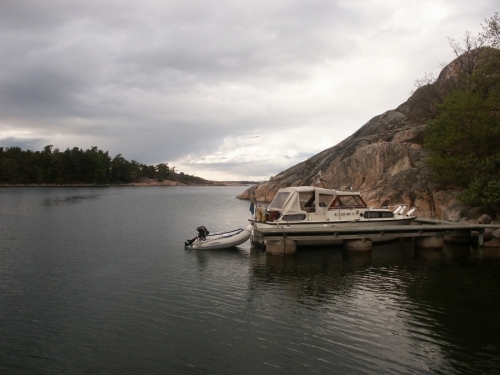 For the night I found a nice natural harbour by Kiddesholmen where I anchored. On Monday I continued to Västervik to get fuel and do some shopping. 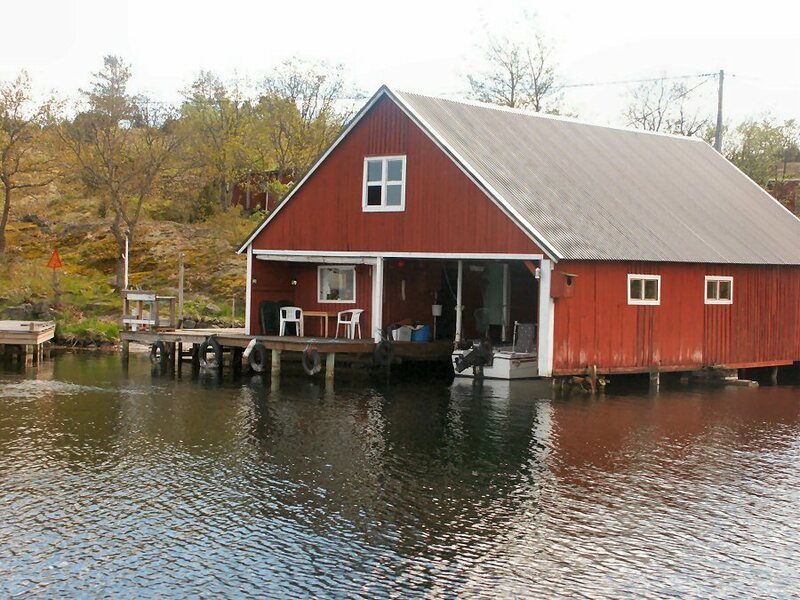 I passed the beautiful fishingvillage Händelöp. I stayed in Västervik overnight, but on Tuesday morning, my kitchen refused to start so I had to stay and try to repair it. The new parts arrived at Wednesday but to no good! Had to stay and wait for new parts arriving at Friday. 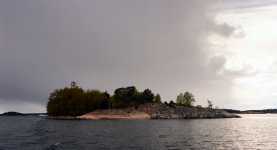 During Wednesday evening a thunderstorm passed Västervik. There were winds of 27 meters per second and these winds caused quite a lot of damage in town. As well as on Bibbi. There were some scars on the hull on her portside and a few other minor things. Of course the parts did not arrive on Friday, so I desperately bought a new kitchen that can be used as a reserve in the future too. This way I could leave Väservik on Saturday and sailed through one of Sweden's most beautiful achipelagos. 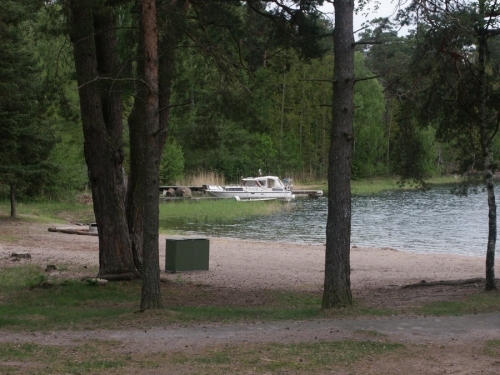 Here I moored at Harstena in an old fishermen's village. Still populated all around the year. Very nice place. This nice house I saw between Stora and Lilla Grindö. 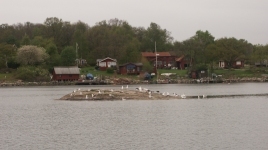 Southwest of Harstena there are two small islands called Stora Arnholmen and Lilla Arnholmen. I circled around them and took quite a few pictures, but as it was rather late in the afternoon I decided på come back the next day to try to get ashore on at least one of them. 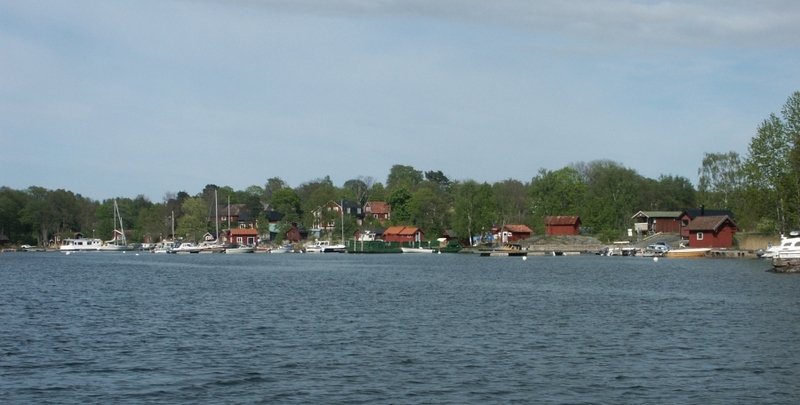 Lilla Arnholmen at left and Stora Arnholmen at right. Bibbi moored in the harbour at Harstena. Unfortunately the winds were rather strong on Sunday when I was leaving Harstena, so it would have been a bit too risky to anchor Bibbi by the Arnholm islands and get ashore with the dinghy. Anyway, I had another look around and then continued northwards. The goal for the day was Oxelösund to take pictures of Femöresunds Canal. But of course - a few minutes before I arrived in Oxelösund it started to rain. And it continued to rain for hours. Just before sunset I got my pictures. On Monday May 24th I left Oxelösund to go to Nyköping to take pictures of an old historical canal that was never finished. There was supposed to be some remainders of it. It was a rather short trip, and I walked along the river but soon found out that I would have to spend the full day in Nyköping to be able to get to the historical parts of the canal. 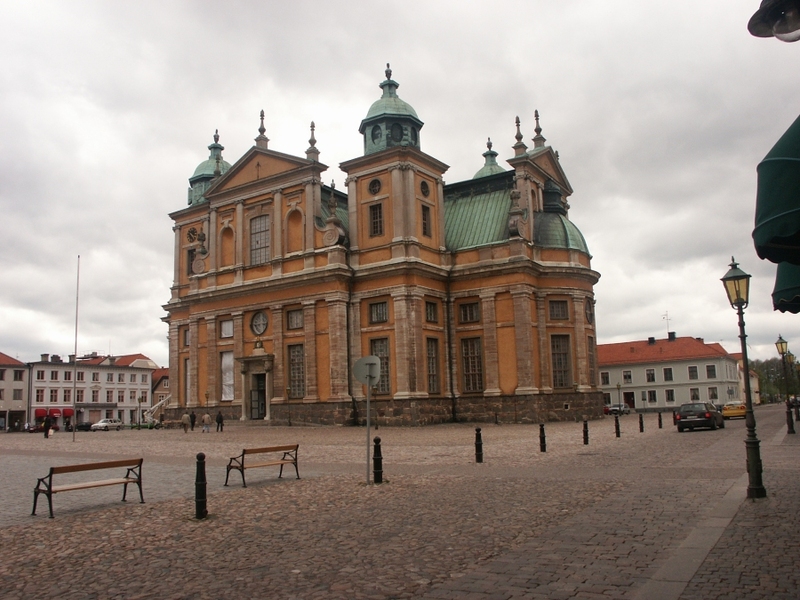 Anyway, Nyköping seems to be a very nice old town. I really would not mind living there! 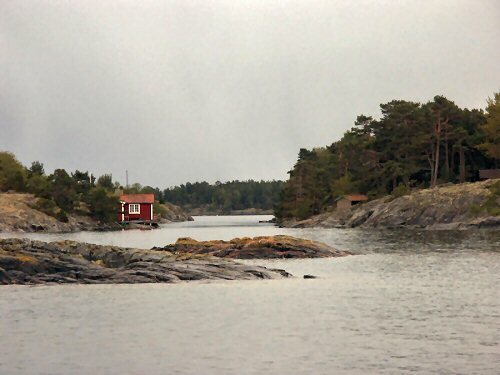 So after a two hour walk in Nyköping I continued my sailing and finally anchored in a bay of the tiny island Fifång, south of Södertälje. 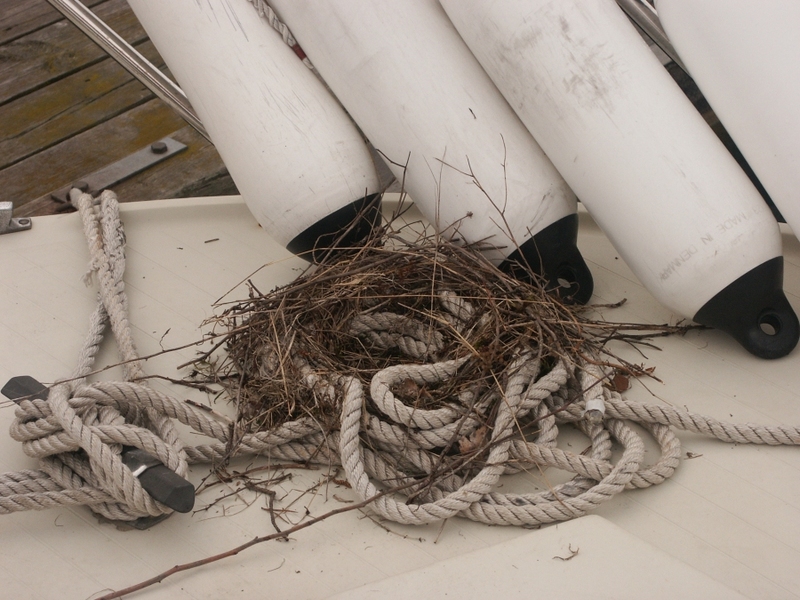 During the night in Oxelösund a bird started to build a nest on the deck of Bibbi! I should have waited for the eggs. A group of shipbuilding students had a camp in the bay of Fifång where I anchored. They sailed traditional Swedish boats they had built themselves. On Tuesday, May 25th, I contiued my trip towards northeast. 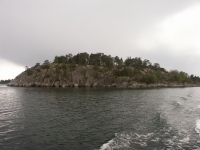 To my surprise I passed another two islands called Stora and Lilla Arnholmen. Of course there are a lot of photos of those two islands in my archive now! 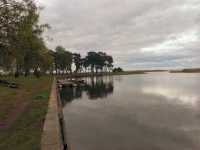 After that I passed through two canals, Dragets Canal and Yxlö Canal. But Muskö Canal was too small. I had to moore Bibbi at one end and go through it in the dinghy. 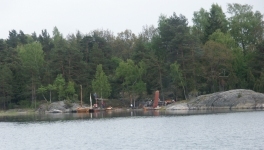 For the night I moored in Dalarö in the southern outskirts of Stockholm. 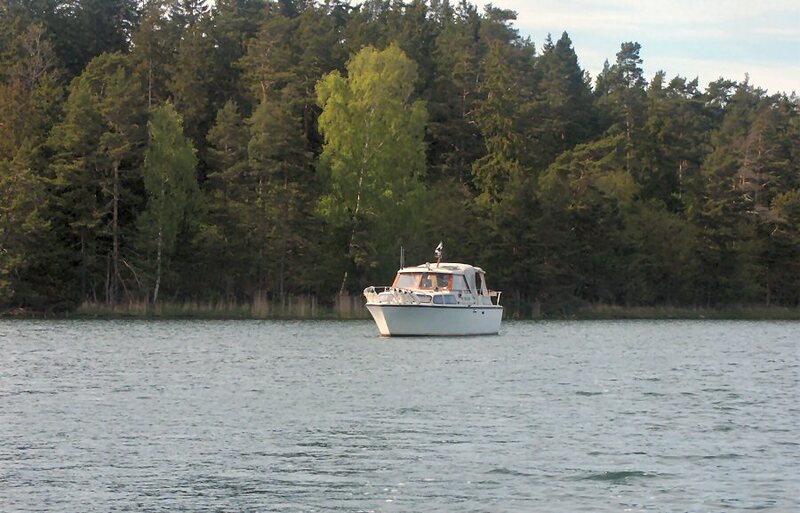 During Wednesday I sailed around in the southern achipelago of Stockholm. I went to Ornö and to Runmarö to take photos of canals, and I finally moored at Malma Kvarn, a harbour that belongs to Svenska Kryssarklubben, the biggest boatclub of the world. On Thursday May 27th I cleaned the boat and made things ready for Ingrid to come aboard. That kept me occupied almost all day. 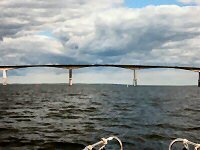 I sailed a short distans, 10 nautical miles, from Malma Kvarn to a bridge by Ålstäket, that belongs to one of our relatives. Early on Friday I leave Bibbi. I go to Gothenburg via bus, train and airplane. I spend Whitsun with Ingrid and with our English friends that have come to Gothenburg to celebrate British Car Week.